Add a load of fun to the kids’ rooms with this Philips Hue lighting bundle. It comes with a 2 metre LightStrip, which is a great finishing touch for the bedframes to show your little ones that there’s no no monsters hiding underneath. The LEDs bring light or colour into the room which you control via your phone or tablet. You can even set a timer so they can read for half an hour before bed, or you can turn it into a great nightlight by dimming the brightness. Plus, it also comes with a motion sensor, so if they need the toilet in the night, the light will turn on so they can find their way. 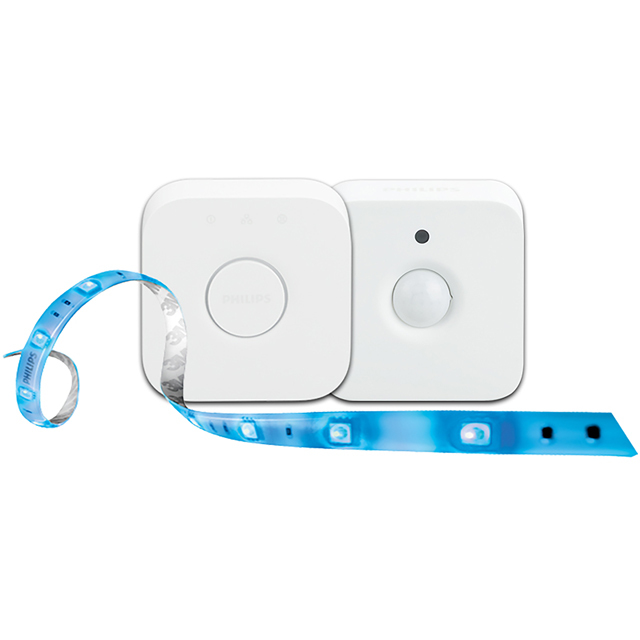 Please note, to connect the devices you’ll need to connect them wirelessly to the Hue Bridge, which is included in the bundle. Plus, you’ll need to download the Philips Hue app that works with both Apple and Android devices.